Looking for alternatives to CommonSpot? Tons of people want Web Content Management software to help with breadth of pre-built templates, customization, and approval process. What's difficult is finding out whether or not the software you choose is right for you. We have compiled a list of Web Content Management software that reviewers voted best overall compared to CommonSpot. Based on reviewer data you can see how CommonSpot stacks up to the competition, check reviews from current & previous users, and find the best fit for your business. WordPress.org is web software you can use to create a beautiful website or blog. They like to say that WordPress is both free and priceless at the same time. "Excellent content management system perfect for all use: I love that this software is very versatile, it has the possibility of creating any website, from a simple page to a more complex page like an electronic commerce. It also has more than 50,000 add-ons with which to play and create new incredibly dynamic and colorful pages. This software is also far superior to its security level competence and constant updates"
"Flexible and powerful web development tool: Drupal is a really robust web development platform with lots of tools. I like that Drupal propose a lot of different modules like video, membership, commerce. Thanks to them you may add new features to your website. What is important, each module has submodules, which help to add only those blocks which you need. The best thing is that you may combine different functions from different modules." Joomla is a content management system (CMS), which enables you to build Web sites and powerful online applications. "Modular content manager with incredible features: It is an online platform with which I can create very advanced web applications, I like Joomla because I can install different modules for different purposes, its interface is very intuitive and it is also very customizable if you have the necessary knowledge, it is very good to take statistical control of your application or web page." World-class content management combined with deep data insights deliver omnichannel, personalized interactions in real time. "Sitecore Module Review: The platform is pretty user friendly. The site structure and hierarchy is fairly easy to follow and the editing capabilities are straightforward for the most part." Ingeniux CMS is an enterprise content management platform designed to manage the persuasive web. Easy one-click editing, personalized content, software-as-a-service delivery options, and 100% ASP.NET MVC. "We use the Ingeniux CMS for everything...: I've worked with a lot of different content management systems in the past and Ingeniux is by far the better one. Not only does it allow us to manage our content in a meaningful and reliable manner but it has helped us to build an amazing website that can consume the content as well as the Ingeniux CMS api without a huge fuss. Ingeniux is heavily integrated within our .net mvc website and has allowed us to deploy code in a quick manner when we needed it the most. Having dealt with several that have taken many days to install on our servers, Ingeniux was quickly installed with an easy wizard as a guide. Another amazing feature about Ingeniux is their customer support, they are amazingly quick at responding to your issues and very knowledgeable about their product. They will do what ever it takes to fix your issue withing the least amount of time as possible. We've also uitilized the API part of Ingeniux without the actual use of the CMS UI, which has been very valuable for certain scenarios we need our websites to do." Delivering more out-of-the-box functionality than other systems, Kentico makes enterprise-grade, integrated marketing manageable and affordable for businesses of all sizes. "Great all-around CMS for Enterprices: The ease of use and the out-of-the-box feature set distinguishes Kentico from other CMS solutions. A great set of functionalities are available without the use of coding. They can be added on templates and can provide a rich set of features on pages/templates. " Episerver CMS allows you to achieve maximum impact by managing content seamlessly across screens and channels. "With proper implementation, this CMS is friendly to Designers, Developers, and Editors. : On the design and development side, this stable enterprise-level platform can support just about anything you can dream up. Though there are many features out of the box, where this product shines for us is how easy it has been to develop new features for our visitors. We have successfully integrated third-party SAAS such as our social media aggregator as well as various in-house applications. Episerver plays nice with others. On the editor side, the interface is intuitive and well organized. We have a wide range of technical abilities within our editor pool and still receive positive feedback from them about their experience. Some have even uttered the words "fun to use" -- *gasp! * Episerver as a company has been fantastic. They are responsive to our needs and have been proactive about new features and support. The CMS is one in a suite of offerings. Since they have taken the time to understand us as a customer, they know which mix of products best fit our needs and have not tried to sell us something we don't need." Contentful is a flexible and future-friendly content platform that helps editors to manage and developers to serve content into mobile or web applications. "Great flexibility and value, odd at first: Model creation with the available wide variety of field types is great. The basic Markdown text field editor covers lots of use cases. Resizing images by just adding optional query parameters to the URL is magic. The content model is very flexible." Acquia is the open source digital experience company. We provide the world’s most ambitious brands with technology that gives them the freedom to embrace innovation and create customer moments that matter. "The best platform to provide great digital experiences. : The voice of the customer is important for us, for our growth, thanks to Acquia we have managed to create channels so that customers can have a quality experience, which benefits us because it generates sales in our products. Another element that I highlight, that I like very much, is the possibility of managing our digital assets, we have managed to masterfully integrate the search system with our inventory, which offers not only to us but also to customers, a more organized and harmonious visit and purchase that is our end. Also, with Acquia, we can manage several platforms at the same time without complexities on one or the other, on the contrary, in the same sense, you can add the solution you need for your undertaking, which gives you the possibility of saving money." Solodev is a premier web experience company and the world‘s first enterprise Web Content Management System built for the AWS Cloud – the most secure and extensible infrastructure on the planet. With Solodev, organizations of all sizes can build amazing websites, custom applications and engaging digital strategies to transform customer experiences. Leading brands can create without compromise and build unique digital experiences across any device with 24/7/365 U.S.-based support. See how Solodev can help your organization grow. "Best in the business! : Service is always prompt, professional and courteous. We always have direct access to the appropriate resources when needed which results in faster, higher quality business results. Costs are in line with the market and generally result in a favorable ROI. " "Transformative Experience: 1) The ease with which I can make a custom type. I was previously making modules using Christoc, which was fine, but now I specify a content type and make it instantly in the cloud. 2) This is a truly headless CMS, though using it as such takes a bit of setup. By making API calls, I will be able to skip making visualizers and keep my content completely separate from having to make pages. 3) For when I do need to make pages, the visualizers are a nifty way of showing this content - they are using the Shopify Liquid Content templating system which is a fully featured (if at times slightly odd) templating engine. 4) The DNN support is amazing, so different from other CMS' I have used in the past. I have bothered these poor people with so many questions and they have always been great. " Craft CMS is a focused content management system for developers, designers, and web professionals that blends flexibility, power, and ease of use for clients. 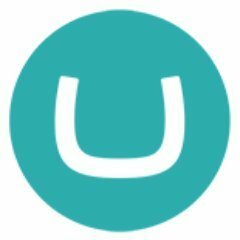 "Ultra flexible with the right developers: I’ve used Craft for the past 2.5 years and we have a great developer partner who’s helped us grow our Craft CMS capabilities from scratch. 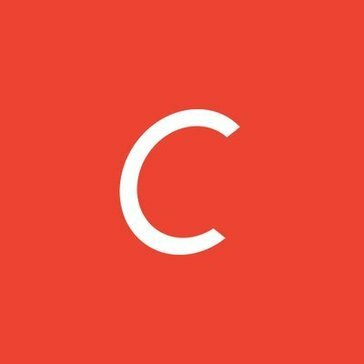 Our developers have worked directly with Craft to make changes in the platform to let it grow beyond the initial out of box experience. " The open source ASP.NET CMS. The CMS is free forever, but you can choose to buy professional support, bug fixing warranty and productivity enhancing add-ons. "Matured CMS to manage Big websites: Umbraco has many things that make it a good open-source CMS. 1. Easy to navigate dashboard 2. Great personalization features 3. Availability of APIs 4. Easy customization and SEO friendly 5. Content management is too easy and user-friendly. Even a non-technical person can handle it with utmost ease. 6. Quite easy to add plugins. 7. .Net technology means it is secured and scalable 8. Can seamlessly manage tons of web pages. 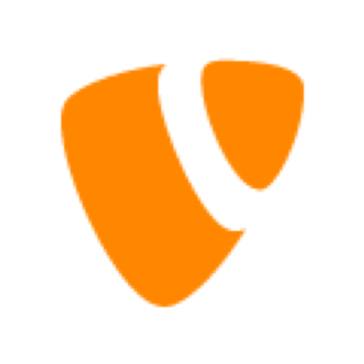 I am already having 1000+ on my website that we manage by Umbraco." eZ Platform is a modern open source content management system, based on the Symfony full-stack framework. With eZ Platform Enterprise Edition your developers, editors and marketers have the tools to create, deliver and optimize content as they build exciting digital experiences for your customers. eZ Platform provides a flexible content repository, multichannel and multidevice content delivery, multilingual and multisite content management, , granular user permissions, enterprise-grade support and maintenance services as well as additional training and consulting options. eZ Systems’ innovative technology is trusted by thousands of companies around the world who want to create the digital experiences of tomorrow. "The most flexible and extensible enterprise level CMS out there. : Developing web and mobile apps based on 4 generations of eZ Systems CMS's has been a fantastic experience. 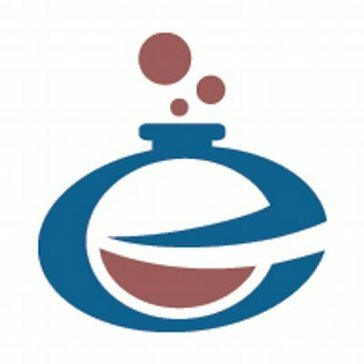 The very best thing about eZ Platform is the backend. Symfony, Twig and clean APIs on the top make it super flexible and extensible solution wether you want html, REST or just about any other output. Even if the community these days is not most crowdy out there, the eZ Crew is easy reachable trough Slack. Help is never far away." ExpressionEngine simplifies the process of managing your site while giving your designers complete creative control. "Flexible, Extendable, Easy to Learn, in short - Terrific! : Our favorite features of this content management system are 1) The high level of security and 2) the ability to bring in any customized design or framework and have it work flawlessly and unencumbered by the CMS. 3) ExpressionEngine allows our clients to own their data, contentand design and to take it with them wherever they go in terms of hosting and ongoing maintenance and upgrades. 4) ExpressionEngine can be simple for non-developers use and maintain if setup correctly with the client's needs and desires in mind. 5) The control panel is fast and flexible in terms of layout. You can customize it to suit your needs making it fast to use and greatly reduces the amount of clicks between sections compared to other CMS we've used." Privacy-conscious blogging platform and the quickest way to publish a thought. "Use Write.as: I love the dashboard and user interface. It is easy to use. You can very easily create your own personal document and use their help to achieve a much-refined outcome in terms of content and quality, or upload a document and use the automatic proofreading and editing feature for text editing. It is customizable and it has a very strong SEO. It is available on mobile which improves its mobility. I use it anywhere in the world and on any device." TYPO3 is an open source enterprise CMS with scalable web application framework. "Better Than Wordpress: I love that it is scalable and that It is able to be used on multiple worksites across the country, that I can work with a developer to connect anything else that I use. Its great that I can use it anywhere and set it up from wherever I am on my current systems. I like that the level of user engagement has seen a rise, and I love how fast it is. Vibrant professional community backed by a strong commercial ecosystem." "Good web content management experience with this tool: This cms is a full highlighted, all fancy odds and ends, all you need tool which is sort of brute. There is a capacity to effectively make point by point envelopes for substance and media association. Using this, I felt as if I was being listened to and the majority of my needs were met. From little to expansive based Drupal sites, you are furnished with persistent incorporation with Development, Staging and Production situations. " Work smarter and faster with Elcom’s all-in-one digital engagement platform. Deliver digital experiences that delight your audience, on a platform your administrators and publishers actually like using. With a feature rich enterprise CMS, in-house experts who custom build functionality to your exact requirements and dedicated customer success team to assist post launch, Elcom can help you bring your digital vision to life. "Solving business problems with a stylish and functional design: The stylish and simple design has made our site eye-catching and easy to use. Elcom provided a great design to ensure our intranet quickly became the go-to resource and core of our Digital Workplace Experience. Elcom is supportive and goes out of their way to assist with our development and ongoing upgrades. The Help Desk support is fast, friendly and knowledgeable. " 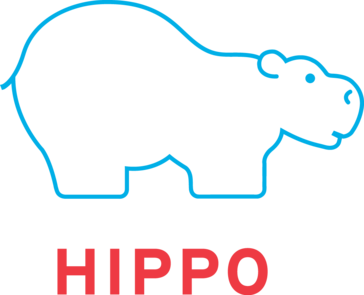 Hippo CMS is an open source Java CMS for creating personalized omnichannel web experiences. "Difficult to Use: The thing I like most about Hippo is the ability to create custom modules and templates specific to your business needs. The file structure also seems to be pretty well organized once you can get to what you're looking for." Hi there! Would you like help finding solutions similar to CommonSpot?